Do you remember a time when, as kids, we used to build things? I mean really create with our own two hands, and not just virtually on an electronic device. This brilliant spin on a cubby gets the kids’ creative juices flowing – even on a rainy day. As I eluded to earlier, I do lament the loss of creative play for children. Play that involves using their imaginations in a real world situation, not a virtual one. 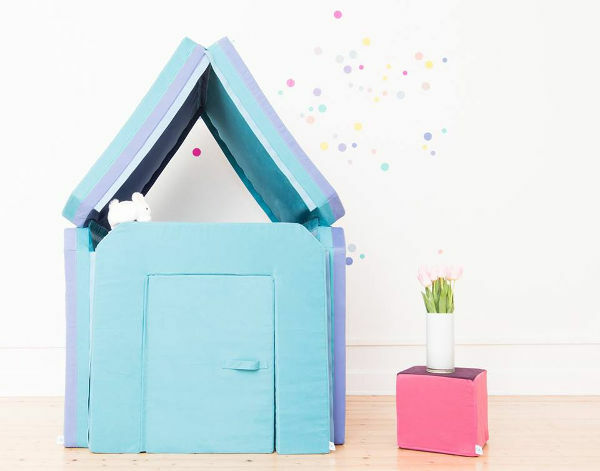 Germany’s Nest Rocker has created these brilliant padded playhouses, that can be used to create so many awesome things. The Nest Rocker playhouse comes as a series of pads, that can be joined together using the velcro fasteners. Of course, they create the perfect little indoor cubby, but they’re also great for making a place to sit, or even sleep. My children’s favourite things to do at their great-grandmother’s house is making couch cubbies using bed sheets. I love that these Nest Rocker playhouses are a modern take on such a simple childhood pastime. 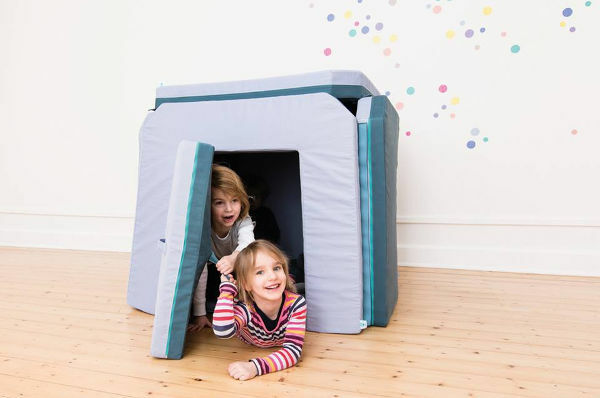 A playhouse with six square pillows (one of which has a door) costs €690 – and as yet Nest Rocker doesn’t ship to Australia, so you will need to source a reshipper (or very good friend) to get one to our shores.